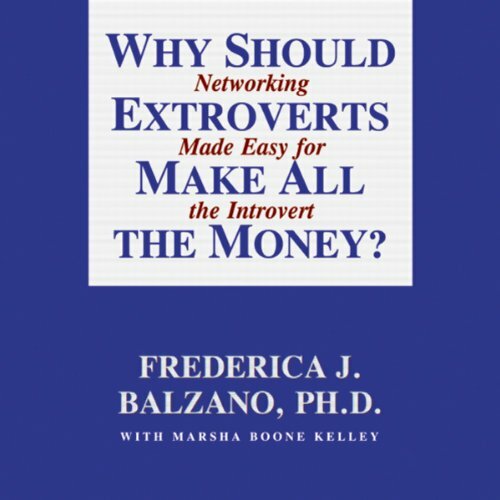 Showing results by author "Frederica J. Balzano Ph.D"
Why Should Extroverts Make All the Money? By: Frederica J. Balzano Ph.D. Shy people and introverts generally avoid actively propelling themselves into the public eye. They would much rather work quietly behind the scenes. But is that enough? In our age of increasing workplace competition and seemingly relentless self-promotion, some experts assert that it will be the more "extroverted" personality types, those who speak out at meetings and give charismatic presentations, for example, who will succeed in the business world. But why should extroverts make all the money?